It is as embedded in the modern New Zealander’s make up as being mistaken for an Australian or having to acquiesce politely when a wide eyed tourist brings up just how cool it must be to live where the Lord of the Rings films were made. Beetroot. In burgers, salads, smoothies, cakes, soups and sandwiches, the crimson prime root is the omnipresent supplementary foodstuff of Kiwi choice. Yes, the Aussies enjoy their fair share of the ol’ beta vulgaris but their neighbours from across the Tasman take their devotion to a new level. I lost count of the times I discovered it brazenly lurking in dishes while I was visiting that magnificent country earlier this year. Each time my enquiring glances were met with the kind of dismissive ‘get on with it’ looks you see on TV that follow being on the wrong end of a bone-shaking Richie McCaw tackle. Resignedly, I’d just pop it in and get on with the next mouthful. By the end of my stay in the land of the long white cloud, my dislike had gone past tolerance to a kind of appreciation of the sainted vegetable. But never love. Appreciation was as far as I was prepared to take it. A day off and a cursory sortie into my local Tesco brought about a chance encounter. Seeking something snacky in the deli, a cerise topped offering among the savouries caught my attention. Initially I dismissed it as a gimmicky pre-Christmas promo. 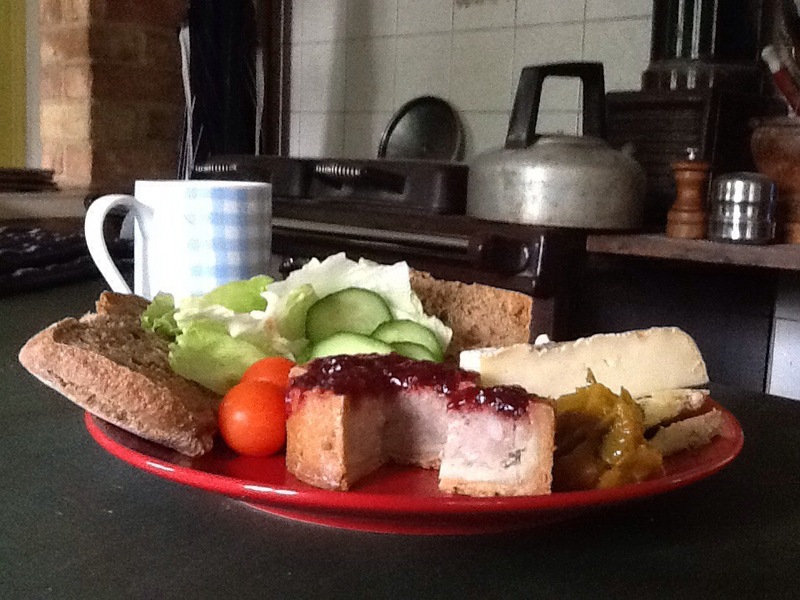 Pork pie topped with cranberries? I let it linger. Then I looked again. Beetroot. A pork pie topped with beetroot. So it’s not just their rugby players we’re after these days then? It transpires, for all those dreadful reality based TV shows we’ve sent over there, we are getting beetroot-laden cuisine in return. It turns out this is one of those deals where no one wins. Not in this instance anyway. The beetroot was a clear sugary mush atop the pies that didn’t obviously make the Melton Mowbray first draft. The beetroot did nothing for the pie and vice versa. A piccalilli sharpness or a brown sauce tang topping may have been a better complement for the fatty tasting pastry and incongruous tasting pork. Maybe this Kiwi-inspired food fad needs a better vehicle on which to launch itself on the British palate. In fact I was pleased, in a way, to finish and get on to dessert, the bag of doughnuts I’d subliminally purchased earlier. Beetroot doughnuts? Now there’s a idea.